The construction industry is one of the largest industries in the United States. It includes more than 700,000 construction companies and more than 7 million employees. That might lead you to believe that starting a construction company from the ground up would be too difficult to do. But in reality, it’s never been a better time to put together a construction business plan. The entire industry is experiencing growth at the moment, which is why you should consider getting involved in it. When starting a construction company, though, it’s important to lay down a solid foundation for your business. It’ll enhance your chances of succeeding over both the short and long term and allow you to generate as much profit as possible. Check out the steps you’ll need to take to build a successful construction company in no time below. Technically, you can come up with a name for your construction company at almost any point in time. You could wait until later to do it if you can’t come up with the right name at the beginning of the process. But your construction company isn’t going to feel like a real business until you create a name for it and start using it. So it doesn’t hurt to brainstorm some business name ideas before doing most of the heavy lifting that’s required when starting a construction company. Try to come up with a name that lets others know exactly what it is that your company offers while also giving people some idea of what they can expect from your business. For example, you might want to go with something like “Smith Commercial Construction” if you plan on doing commercial work or “We Fix Houses” if you want to get involved with home repairs. Once you have a name in place, it’ll legitimize your company in your mind and get you excited about starting it. In addition to tossing around some business names to see what sticks, you should also consider which construction services you’re going to offer to your customers and clients. Specifically, you should figure out if you’re going to be a residential construction company or a commercial construction company. You also have the option to be a combination of both if you want to be involved in both worlds. Also always ensure that you work hard with the buyer when completing a punch list for construction projects a this ensures the customer is happy. Just remember that you’re going to need to invest in everything from the right equipment (more on that later!) to the right employees based on whether you plan on doing residential or commercial work. Narrowing down your services will let you know what you need to start working. 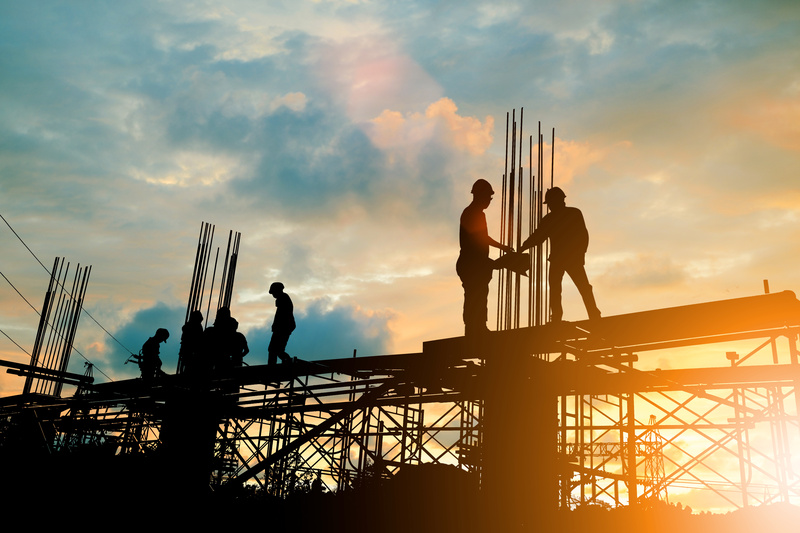 After you’ve come up with a business name and decided which services you want to offer to the world, the next step will be to register your construction company. You’ll often have to register it with both your state and your city or town. Every state and city operates a little bit different when it comes to registering businesses. Look into what you’ll need to do to register your business before you get too far down the line. Every business, including those both inside and outside of the construction industry, needs to develop a business plan at the start of their operations. A business plan will detail every single aspect of your business and lay out what you plan on doing in the coming years. You should not start building out your business without putting a business plan in place first. You’ll be asking for trouble if you try to launch a business with no set plan. Unless you have hundreds of thousands of dollars squirreled away in your savings account from the start, your construction company is going to need money to set up shop. You’ll need to apply for business loans to obtain the funding you’ll need to grow. You can reach out to investors in your area to see if they would be interested in financing your company for a piece of it. You can also reach out to banks and other lenders to see if you would qualify for a loan. Don’t start this step until you have a business plan done. Investors and lenders will want to analyze your company before agreeing to give you a dime. To run a construction company, you’re obviously going to need to get your hands on construction equipment. That includes everything from basic tools like hammers and saws all the way up to much larger pieces of equipment like cranes and bulldozers. You do not need to buy every possible piece of construction equipment at first. You’re much better off waiting until you need things to buy them. But you should be prepared to buy what you need and add to your equipment later. If, for example, you start working and find that you could work more efficiently with diesel generators on your job sites, you can find generator options through www.ablesales.com.au. It’ll allow you to carry out your services quicker. You should never, under any circumstances, start a construction company without signing up for business insurance. It’s essential for you to have business insurance in case an accident results in an injury or damage to property. Most people will refuse to work with construction companies that don’t have business insurance. Being able to say that you’re insured will show that your company can be trusted. When you’re first starting a construction company, you might do most work yourself. There are many small companies that don’t have employees on their payrolls. But as your company begins to grow, you’ll want to bring other employees on board so that you can take as many jobs as possible. Look for experienced employees who will help give your company a good reputation. Any time you’re going to hire someone to work for you, run a background check on them and ask for references. It’ll help you avoid hiring someone who could make your company look bad when they’re working on one of your job sites. Can you believe that about 50 percent of small businesses in the U.S. still don’t have websites for their companies?! It’s amazing to think, but there are still lots of companies trying to achieve success without maintaining a digital presence. Your website is going to serve as your calling card to many of your potential customers. Leave the right impression on them by spending some time (and money!) developing a winning website. You can have the best construction company in the world. But if you don’t market it right and brand your business, there’s a decent chance no one will hire you to perform services for them. As soon as your business launches, you should start marketing it within your community. Sponsor local Little League teams, run ads in the newspaper and on local TV, and hang up signs on telephone poles promoting your business. Your goal should be to spread the word about your business by any means necessary. Even doing something as simple as adding custom graphics to your vehicles will motivate people to call and ask about the services that you provide. As you’ve no doubt noticed by now, it takes a lot of work when you’re starting a construction company. You’re going to have to spend weeks, if not months, planning your business out before starting it if you want it to succeed. But that doesn’t mean it has to be stressful. As long as you stick to the steps listed here, you can work your way through the process and give your business every opportunity to be successful. You can also feel better about your future when you have a solid foundation to fall back on. Read our blog to learn some important business lessons that you’ll need to know along the way when starting a new company.